The bitcoin address of long defunct mining pool DeepBit [1VayNert3x1KzbpzMGt2qdqrAThiRovi8] is still somehow crazy popular. According to Blockchain.info’s “Popular Addresses” page, DeepBit holds the #8 overall ranking for most frequently used bitcoin address. 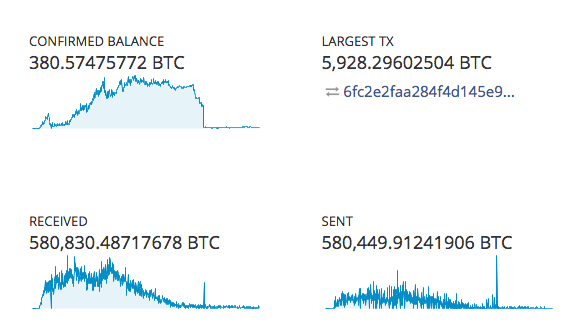 But how can a defunct mining pool, that hasn’t found a block since 2013, and has only 47 transactions since January 1, 2015, still hold the #8 overall popularity ranking based on # transactions? The most likely explanation has to do with the significance of DeepBit in the early days of bitcoin history. At one point in mid-2011 the mining pool controlled more than 50.18% of the overall bitcoin network prompting near panic in the community. 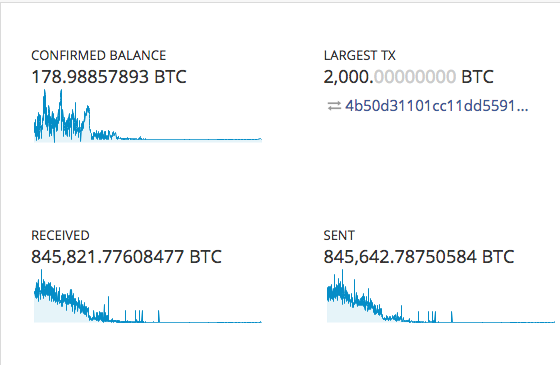 It’s comical in retrospect that this was achieved with little over 3000 GH/s. Quaint today, but at the time that averaged about 2 blocks found an hour! In it’s heyday until late 2012 the DeepBit mining pool was basically the only game in town, known for its reliability and reasonable 3% fee. As of this post the DeepBit address is linked to 786,916 transactions, which is a significant .65% of all transactions on the blockchain. To put that in perspective, the only other mining pool address among the top 100 most popular is #14 ranked Eobot [1MPxhNkSzeTNTHSZAibMaS8HS1esmUL1ne] with 394,313 transactions. At Eobot’s current pace (based on the last two months ~1698 trans./month), it will take approximately 19 years for them to overtake DeepBit in “popularity”. At one point in 2014 the Ghash.io mining pool held ~51% of the hashing power of the network but their address [1CjPR7Z5ZSyWk6WtXvSFgkptmpoi4UM9BC] is linked to only a fraction of the transactions (33,576). Donate to help palestinain refugees in lebanon to immigrate to Europe & Canada by helping them to issue passport and book ticket to travel.